A food allergy is similar to other allergies in how they affect your health and wellbeing. When you have an allergy, you have a reaction to a substance in your environment (known as an allergen) to which you are sensitive. In fact, the word “allergy” comes from a Greek word which means “altered reaction”. If you have a food allergy, your body reacts to a particular type of food as though it was harmful. Your immune system creates antibodies against the food particles that triggered your food allergy. Each time you come in contact with that food, your allergic symptoms are triggered. 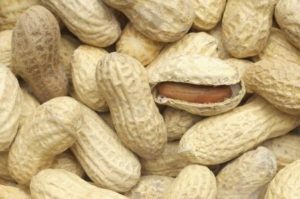 In some cases, each contact with that food triggers a more severe reaction, so food allergies can be very dangerous. A person with a food allergy doesn’t have to eat the food they are allergic to – just touching it or inhaling its particles in the air can be enough to trigger a serious allergic reaction. This is why most schools ask that you don’t include peanuts, peanut butter or tree nuts in children’s lunches. When your food allergy is triggered, your body will produce and release several chemicals to protect itself. One of these is histamine, so you’ll hear allergies referred to as histamine reactions. Histamine and other chemicals triggered by allergies can cause symptoms such as headache, wheezing, bloating, digestive issues, joint aches, muscle aches, hives, skin disorders such as eczema or psoriasis, and breathing problems. The severity of symptoms can be mild, such as a runny nose, or as severe as having the respiratory system shut down breathing. It’s common for chronic issues to be traced back to undiagnosed food allergies once allergy testing is done. Food allergies can cause symptoms for years before they are identified. Even difficulty losing weight can be caused by a food allergy, most commonly to milk. We offer a comprehensive food allergy testing panel here in our Hong Kong clinic. Identifying previously unknown allergies can be life-changing – or life-saving! The most common foods which account for 90% of reactions in children are the following 8. However, anyone can be allergic to almost any food. The first step in treatment is identifying all allergies which are causing symptoms. Once comprehensive allergy testing is done, there are a number of approaches that can be taken to treatment, depending on the severity of the allergy and the likelihood of exposure. Allergy testing is fast – just a scratch test or blood test will tell us whether you or your children are at risk of suffering from allergic reactions. With food allergies, an elimination diet is the most common approach, and severe allergies will require planning for future incidents. This might involve wearing a medical ID bracelet, or carrying an Epi-pen, for example. It’s also possible to reduce or even eliminate some allergic reactions with specific allergy desensitization treatments offered here at the clinic. Some allergies can be eliminated with as few as three treatments. Book an appointment or call us at (+852) 2523 8044 to learn more.